Our Fuel System Cleaning is a revolutionary new process that will clean your vehicle's fuel system and remove harmful carbon deposits. Our system uses a detergent that soaks into the carbon, and softens it, so while running through the process the deposits are passed through the exhaust. The solution will not damage your vehicle's sophisticated engine components. The Automotive Maintenance and Repair Association recommends performing this service every 15,000 to 18,000 miles. 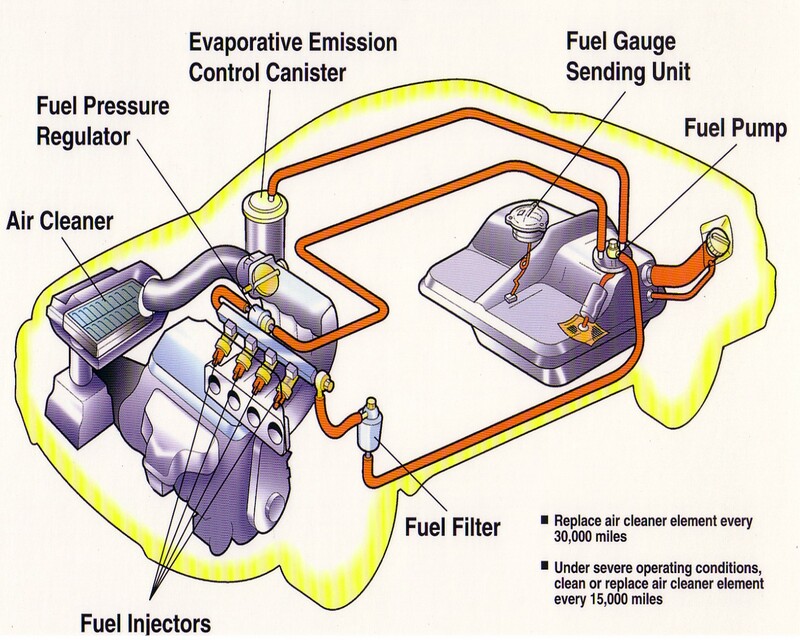 Cleaning your vehicle's fuel system is the best way to keep it driving as it should. A faulty fuel injector will usually result in the vehicle having a misfire on that specific cylinder. There are several ways to check if it is bad, one of them being to remove it and do a flow test on it. This requires hooking it up to a special machine that will simulate the conditions the fuel injector is under when it is installed in the vehicle. Today’s fuel injected vehicles rely on a clean source of fuel more than ever before. Some low cost fuel stations don’t have the cleaning agents added to their fuel that the major fuel stations do. Dirty fuel injectors can really cause some problems like reduced fuel economy, hesitation, rough idle, a hard start, sticky throttle, and failed emissions among other problems. Your fuel system needs to be maintained in order to keep system pressure at proper operating levels, fuel filters should be changed regularly, and fuel injectors should be professionally cleaned if any of these symptoms should occur. Mass Air Flow (MAF) Sensor Our fuel injection cleaning service includes cleaning deposits from fuel injectors, cleaning carbon deposits on the backs of the intake valves and the combustion chamber, as well as cleaning the air intake passages in the air intake throttle body. This is achieved by disconnecting the vehicles fuel supply system and running the vehicle on a machine with a special cleaning agent for about an hour. This service really helps to insure that none of these prior symptoms may occur. A properly maintained vehicle will operate more efficiently, be more dependable, last longer, and ensure a safer ride for you and your family. Your owner's manual out-lines detailed maintenance schedules that should be performed on all your vehicle's components and systems. These maintenance schedules are mileage driven. ● Lack of or poor performance. ● Clean throttle body air intake. ● Inspect fuel lines and fuel rail. ● Pressure test fuel pump and system. ● Inspect pressure regulator, vacuum line, and all connections. ● Decarbonize intake manifold, intake, and exhaust valves. ● Decarbonize combustion chamber and pistons. ● Run an exhaust emissions test. ● Saves you money - improves fuel mileage and heads off costly repairs. ● Reduces the risk of breakdowns. ● Contributes to the overall performance of your vehicle. ● Increases safety and dependability. ● Prevents you from voiding your warranty.